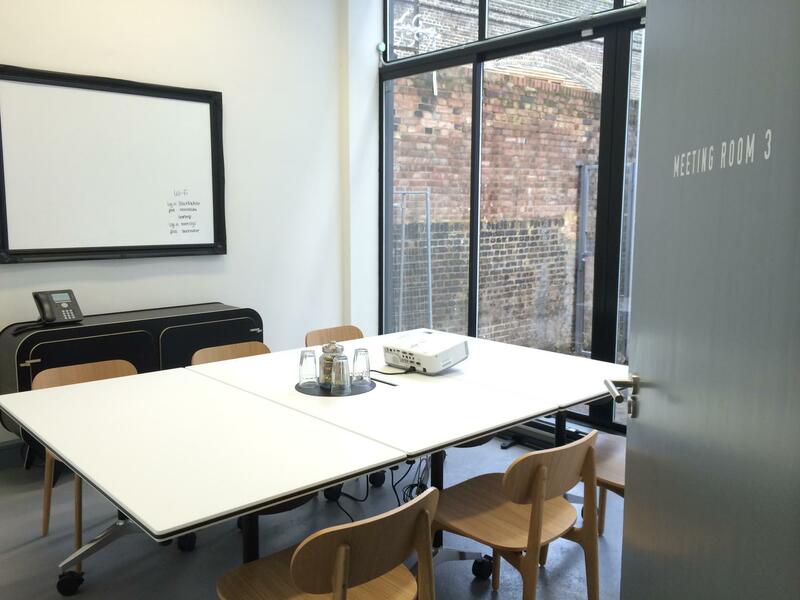 This small meeting room is to the rear of the building, with floor to ceiling windows for heaps of light and air. It comes with a wall-mounted white board and we can provide an LCD screen on request. No Audio in the room. We worked with architects Buckley Gray Yeoman to create 4 floors, 3 meeting rooms, 1 boardroom, 1 roof garden and 5 terraces. The Black & White Building was originally built for furniture manufacturing and has the iconic high ceilings and large windows of Shoreditch’s roaring 18 Century furniture and printing trade.